Welcome to the ‘Emmanuel TV Global Translation Project’! We are thrilled to announce that Emmanuel TV has started the exciting initiative of translating ALL of our content on social media to as many languages as possible to reach a wider audience globally with the Gospel of Jesus Christ! Inspired by our visionary motto ‘Changing Lives, Changing Nations and Changing The World’, this project is enabling people wherever they are in the world and whatever language they speak to witness God’s power and experience His presence through the ministry of Emmanuel TV. You too can become an Emmanuel TV Translator or Transcriber to enable this history-making mission and vision to crisscross languages and borders – for the glory of God! Are you able to type accurately in English? 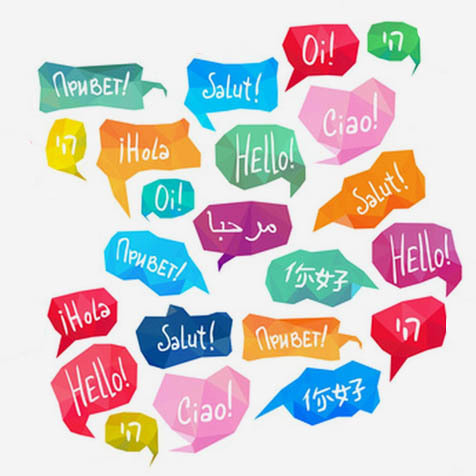 Can you speak or write in another language apart from English? Do you own a laptop or computer? Are you willing to become an Emmanuel TV Partner by voluntarily contributing your time and talent to a project that will spread the Gospel to the four corners of the globe? If YES, please submit your information in the form below and we will get back to you shortly with information about joining the ‘Emmanuel TV Global Translation Project’. The inspiration to translate Emmanuel TV’s unique content came about by the fusion of Divine arrangement and genuine willingness from our global viewing community. Passionate viewers around the world started asking if they could translate faith-building material in order to share them with friends and family, several even independently starting YouTube channels to promote such content. Recognising a prevalent need, Emmanuel TV developed a system to allow volunteers to translate its content into any language – to then be published on YouTube, Facebook and Twitter.